Gideon Lasco, MD, PhD is a licensed physician, medical anthropologist, and writer from the Philippines. 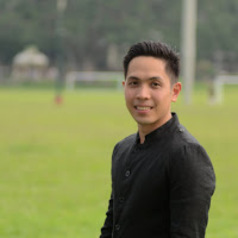 He received his medical degree from the University of the Philippines College of Medicine in 2010, and completed his MSc Medical Anthropology in the same college in 2014. He just finished his PhD in medical anthropology at the University of Amsterdam's Amsterdam Institute of Social Science Research (AISSR). He is also a regular columnist at the Philippine Daily Inquirer, where he covers health, culture, society, and politics. His research has focused on the traditional and modern ways that various sectors of society utilise to improve their bodies and their everyday lives. In 2011, he traveled around the Philippines to interview over forty traditional healers from various cultural traditions and observe their ways of healing. From 2012 to 2013, he did ethnographic work on young drug users in an urban poor community. His ongoing research is about the meanings and materialities of height (human stature) in the Philippines.